Is The 2020 Shelby Mustang GT500 Ditching The Manual Gearbox? A new report claims the upcoming Mustang GT500 will only be offered with a seven-speed dual clutch automatic. Leaked specifications have got us extremely excited about the upcoming 2020 Shelby Mustang GT500. 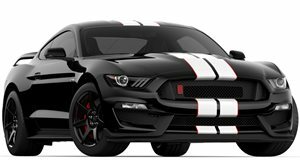 Set to become the , the GT500 will be powered by a supercharged 5.2-liter V8 that produces 720 horsepower at 7,500 rpm and 650 lb-ft of torque at 4,500 rpm according to the leak. However, a new report by regarding the transmission may upset enthusiasts. Contrary to previous rumors that the new , a source “familiar with internal spec sheets” claims that a seven-speed dual clutch automatic will be the only transmission option. Furthermore, the report claims the automatic will not be the same unit found in the Ford GT and will instead be sourced from a different manufacturer. Ironically, the . Jalopnik speculates the GT500’s transmission is likely to be a Tremec TR-9007, built for performance vehicles and able to handle up to 664 lb-ft of torque. It can also be adapted to rear-wheel drive and all-wheel drive platforms. As for why the GT500 is ditching the manual, the Tremec TR-3160 gearbox from the GT350 wouldn’t be able to handle the amount of torque the 5.2-liter supercharged engine in the GT500 is likely to produce. Predictably, a Ford spokesman refused to confirm the rumor. “Regarding the upcoming, Mustang Shelby GT500 model, we have not announced any powertrain specifics yet. More to come as we get closer to the market introduction,” they said. The news will undoubtedly be disappointing for purists, but the GT500 will simply have too much power and torque to handle with a manual. It also lines up with a video that emerged a few months ago , suggesting it was being operated with an automatic.